Ketosis can be a powerful way to use your metabolism for weight loss, increase mental output and improve physical performance. A ketogenic diet can even help manage diabetes. But how do you know if you’re actually in ketosis? Fortunately, there are several ketone level testing methods available you can use at home, like testing high ketones in urine. There are three types of ketone bodies: acetone, acetoacetate and beta-hydroxybutryate (BHB). They each offer different benefits in ketosis and can be tested individually with ketone tests. Ketone bodies can be measured through your breath, urine or blood. You can buy most of these tests at your local pharmacy, making it convenient and easy to measure your ketone levels at home. Track your ketone levels diligently while you’re getting used to following a ketogenic diet. This way, you’ll know how you react to different variables such as exercise, type and amount of food and ketone supplements. 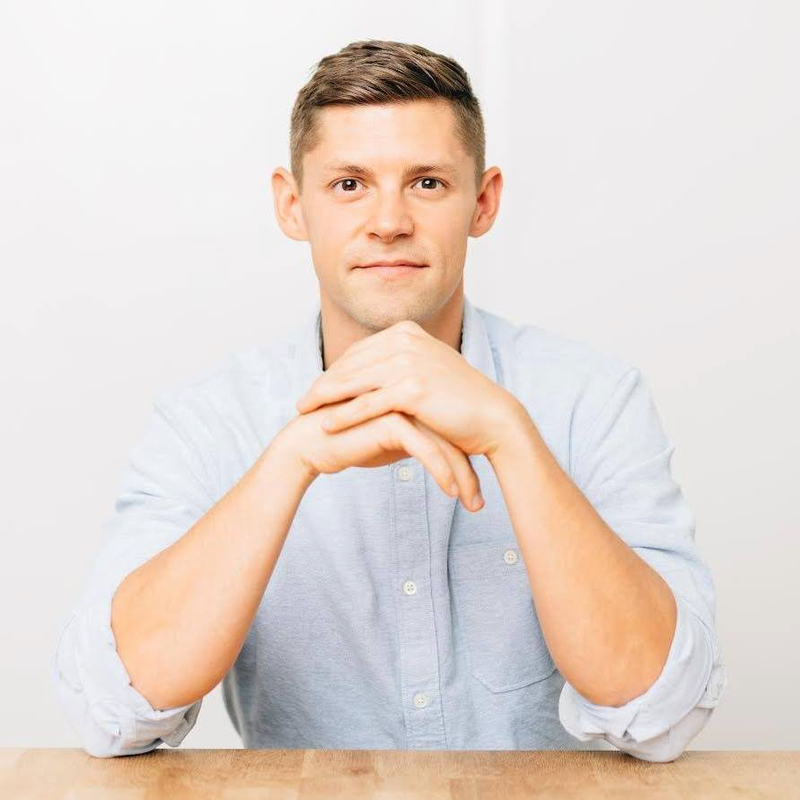 Optimal ketone levels for specific goals can vary per person, so using ketone tests to know where you thrive is the fastest way to reach your goals. With Perfect Keto Test Strips, you can you measure your ketone levels in a few seconds. When you have excessive carbohydrate levels in your bloodstream, your body secretes insulin and then converts it to fat. On a ketogenic diet, you minimize carbohydrate intake while increasing protein and fat intake, creating increased ketone levels and ketosis. As you begin producing more ketone bodies, your body will need to get rid of the excess, which is excreted in your urine. Instead of being stored back as fat, the excess ketones spill over in your urine and high ketones in urine are measured with the test strip. Keep in mind these test results aren’t always accurate. The longer you are in a “keto-adapted” state, your body adjusts to high levels of ketones. Your body will optimize how it uses excess ketone bodies and they may not register accurately on a urine test strip, even if you are clearly in ketosis. Ease of use: Simply urinate on the test strip, tap off any excess urine and wait 45-60 seconds for your test results. Affordability: You can purchase a pack of Perfect Keto Ketone Testing strips for only $8.99. Availability: You don’t have to visit a lab or your doctor to see if you have high ketone levels. Find out if you are in ketosis in the comfort of your own home. Blood ketone testing is the most accurate method for measuring your BHB ketone bodies — a critical ketone your body makes and ultimately converts to energy. BHB is also what provides the “clean” energy ketones in our Perfect Keto products. The testing method is similar to how people with diabetes test their blood glucose levels for high blood sugar. Prick your finger, squeeze a drop of blood out, tap it on a testing strip and the blood meter detects your blood ketone levels. Measuring ketone levels in your bloodstream provides the most reliable test results because it removes factors that can distort the results, such as how drinking water can dilute urine results. Your blood composition is highly regulated and shouldn’t be affected by factors such as hydration, food consumption or becoming keto-adapted when you’ve been in ketosis for an extended period of time. If you the idea of sticking yourself with a needle gives you nausea, this might not be the best ketone test for you. Also, the strips are rather expensive, costing $5-$10 per test. This can add up depending on how often you test your ketone levels. Purchase a high-quality blood meter for measuring blood ketone levels, such as the Precision Xtra meter. Before you draw blood, use an alcohol swab to cleanse your finger and minimize the chance of infection. Use a fresh lancet every time and the included spring-loaded mechanism to draw a drop of blood. Place blood onto the test strip and wait 10 seconds for a reading. This is the same type of meter people with diabetes use, so you can also test your blood glucose or blood sugar levels with different test strips to measure your Glucose–Ketone Index (GKI). It combines your blood glucose and blood ketone levels for a precise measurement of your metabolic health. If you are following a ketogenic diet for weight loss or to reach fitness goals, measuring your GKI can help you reach your goals faster. For example, many competitive athletes track their GKI test results for optimal performance. Blood ketone levels are measured in mmol/L. For most people, optimal ranges of BHB levels are between 1.5-3.0 mmol/L. Blood glucose levels are measured in mg/dl. To get your GKI number, divide your glucose level number by 18 to convert it to mmol/L. Then, divide your blood glucose level number by your blood ketone level. A GKI number between three and eight is ideal, depending on your goals. Acetone or acetate is another ketone body that is produced when your body metabolizes BHB. While not directly responsible for ketone metabolism, acetate correlates closely with ketone levels in your bloodstream. Some people use a breath meter to help compare and confirm urine or blood test results. Acetone is measured through your breath with a device by breath acetone. Typically, the more acetone detected in your breath, the further you are into ketosis. You can measure acetone on your breath using breath monitor, such as a Ketonix meter, which measures how much of the ketone is exhaled on your breath. Plug the Ketonix meter into a USB port or into the included battery pack. Once the unit is warmed up, blow your breath into it until it starts flashing. This indicates it is measuring your breath acetone levels. Typically, a reading of between 40 and 80 indicates you are in ketosis. The high cost is one disadvantage to monitoring ketone levels with a breath meter. But, they are reusable so it’s a one-time investment. Breath testing is considered less accurate than blood or urine testing, but it can be the best option if you don’t want to deal with bodily fluids or repeat testing strip purchases. Listen to your body to estimate your level of ketosis. There are several signs and symptoms you should pay attention to. While not accurate enough to determine your specific ketone levels, they are a good gauge if you don’t have access to a blood, urine or breath ketone test. Clear Mental State: Your brain constantly uses a significant amount of energy. When you are eating carbs, you may notice energy dips, causing mental performance swings. When you are in ketosis, your brain rapidly uses ketones for fuel by utilizing your fat stores. If you are following the ketogenic diet properly, you’ll be consuming plenty of healthy, high-fat foods, keeping your fat stores full. Decreased Hunger: When your body becomes used to increased ketone levels, you begin using fat to break down ketones to use for energy. Because your body has a constant supply of energy, you won’t crave food the way you do when your energy relies on carbohydrate stores. Increased Energy: Approximately 90-120 minutes after you eat carbohydrates, your body has used up the available energy from the mitochondria in your cells. You start crashing, or losing energy quickly. When you are in ketosis, your body can perform well off your body fat, which is essentially a limitless source of fuel. This prevents a crash in your energy levels. Increased Thirst and Dry Tissues: When you’re adapting to a ketogenic diet, your body will be using up excess glycogen and you’ll be urinating more. If you’re not adding salt or electrolytes to your diet, you will probably experience some excess thirst and drier mucous membranes due to lower hydration levels. Some people have heard that if your breath is fruity smelling, it’s a good indication that you are in ketosis. This is not accurate — this may be a sign of ketoacidosis, which is not to be confused with nutritional ketosis. Ketoacidosis, or DKA, is a dangerous condition requiring immediate medical attention seen most often in people with Type 1 and sometimes Type 2 diabetes. If you experience nausea, vomiting, are diabetic or at risk for diabetes, seek medical help right away. 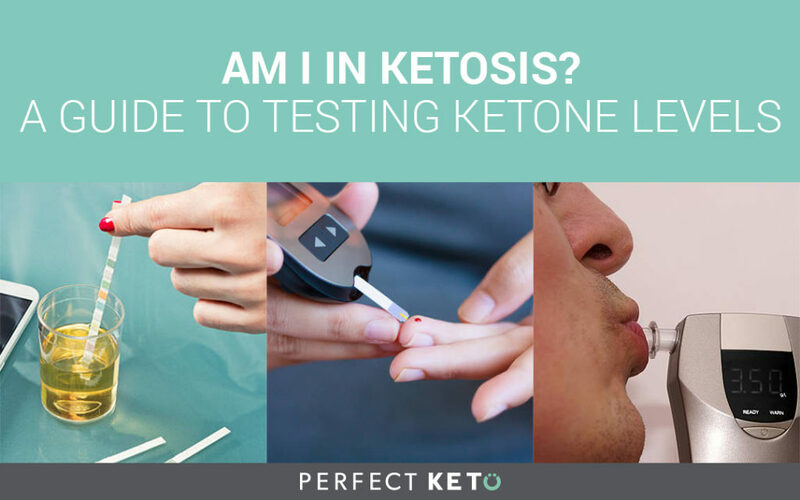 Now that you know how to properly assess your ketone levels and stay in ketosis, visit Perfect Keto online to for all your keto needs. Shop for products that will set you up for success and have helpful resources and our ketogenic diet guides delivered straight to your inbox.